Shutters are always a winning element to your home as they are a Classic look and an architectural feature that enhance the value of any home. They come in a variety of whites to wood stains and painted colors. 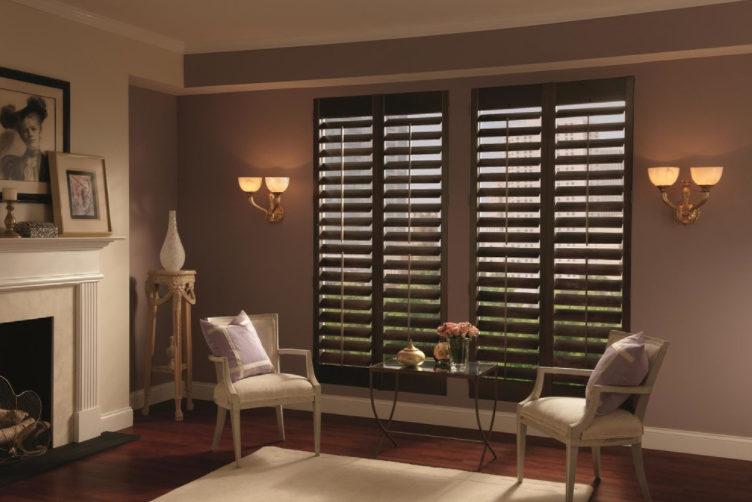 Did you know that Shutters are the only window treatment that are added to the Resale Value of your home? Shutters can even be applied to sliding doors on a track system for a stylish look of continuity, matching the rest of the windows. Multiple layers of wood are bonded together to bolster the stability of the core of the stile – making for a robust and hearty support system for your shutters. Our trademarked wood drying technique dries the wood to emulate the environmental conditions of the location where the shutter will be installed. This practice also reduces post- installation shrinking and swelling. Traditionally used in demanding furniture and building construction, mortise and tenon joints are designed to withstand the shear stress and racking forces applied when operating a shutter.